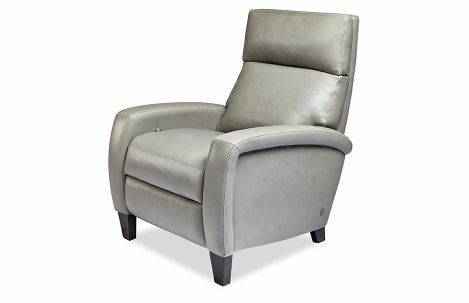 American Leather upholstered comfort recliner on wooden legs. Tight back. Seat cushions in premium high-density, high-resiliency foam. Double-needle top stitching. Articulating headrest.